Save yourselves from the boredom of using those old regular coffee mugs that give you a canteen-like feel and replace them with @home's fresh collection of groovy mugs. Bring home this trendy Hap Milk Mason Annoying 560ML Mug in a tangy shade of Orange and refresh your regular crockery. Enjoy a cup full of great tasting tea or coffee in this high-quality ceramic mug. The groovy design imprinted on the mug makes it ideal for gifting purposes. 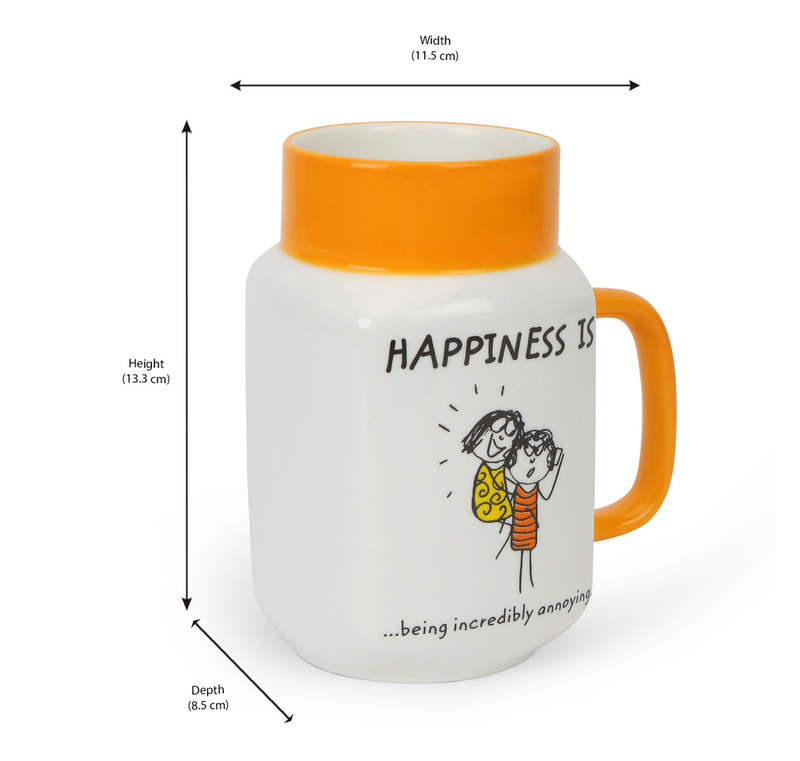 This mug comes with a mischievous message, ""happiness is being incredibly annoying which could be an amusing gift for your parents or friends. Spread a cute smile on your loved ones face and revive your crockery collection with this Hap Brother Coffee Mug.